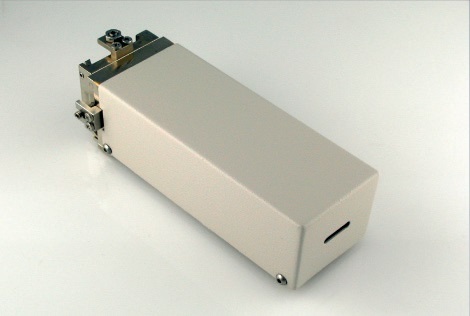 Available in Cu or Co monochromators. 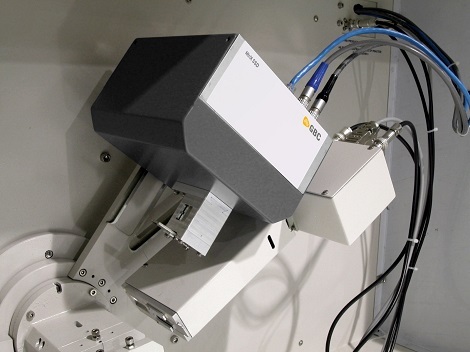 (The Cu monochromator is standard with the basic Emma package. Both monochromators utilise a special Xe proportional detector tube and low-noise preamp (linear to >90000 cps). A receiving slit, secondary Soller slit and scatter slit all work together to improve the resolution and shape of the measured peaks. This includes a long soller slit collimator of 0.4° acceptance angle, and an Xe proportional detector with a large window detector tube. This is essential for parallel beam use, as the Bragg angle is defined by the Soller collimator. It is used with the Polycapillary Optic. 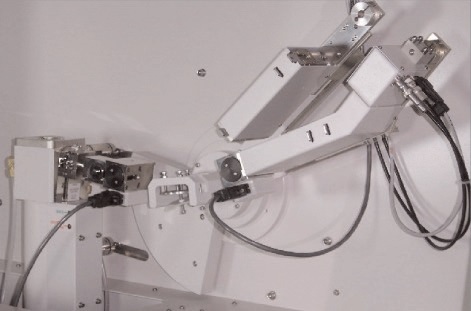 Uniquely allows both focussing and parallel beam detectors and optics to be permanently mounted. Changeover between them is simply done in software. High speed multi-strip solid state detector for rapid scans with high intensity and resolution. The detector has 96 channels with a pitch of 120 μm subtending 0.06° at 200 mm radius. With a maximum count rate of 5 x 106 per strip it supports scan speeds up to 120°/minute over an energy range from 4.5 to 17 keV with an energy resolution better than 10%. Copyright © 2019 SANG JI Scientific Co., Ltd All Rights Reserved.